It’s been a while since I posted anything Playmobil related. You may remember we’re Playmobil Playologists which means we get to share Playmobil news here with you. As part of our partnership with Playmobil we were sent two of this year’s Easter treats from Playmobil. I know Easter is a few weeks off but yesterday my children opened them. For some reason the toy inside each egg is illustrated on the packaging which totally ruins the surprise. This is the only thing I think could be improved. 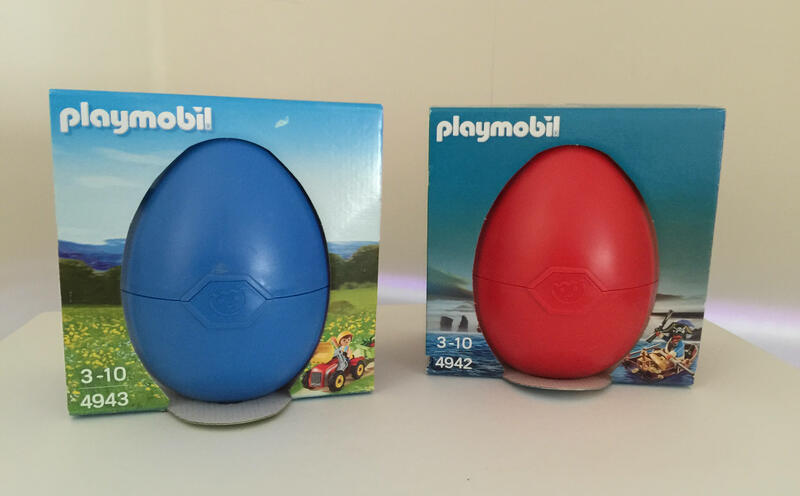 Big Brother received a red egg from the Playmobil Pirates range (4942), Little Sis received a blue egg from the Playmobil Country range (4943). Both eggs are suitable for ages 3-10 and contain a stand alone toy. Big Brother was egg-cited (sorry!) 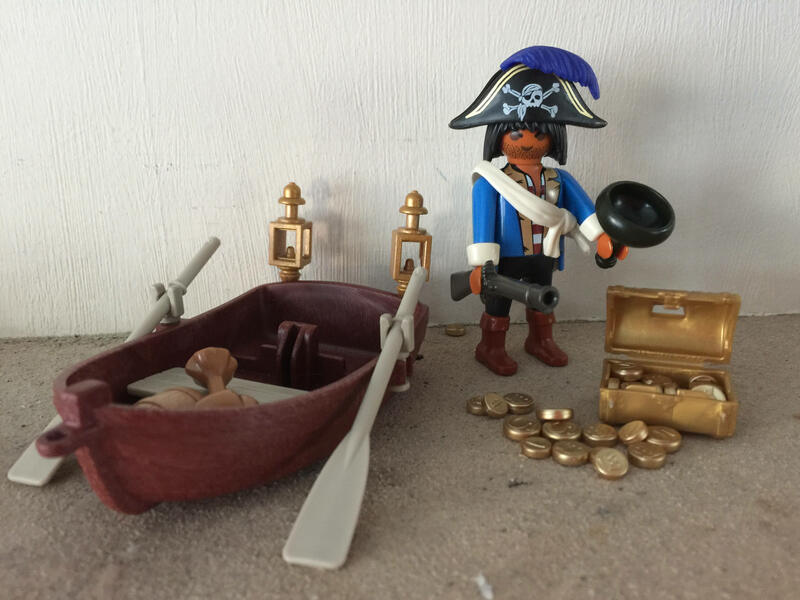 to receive a Pirate Captain, boat and treasure. He was able to follow the instructions and put the whole thing together for the first time which we were both pleased with. 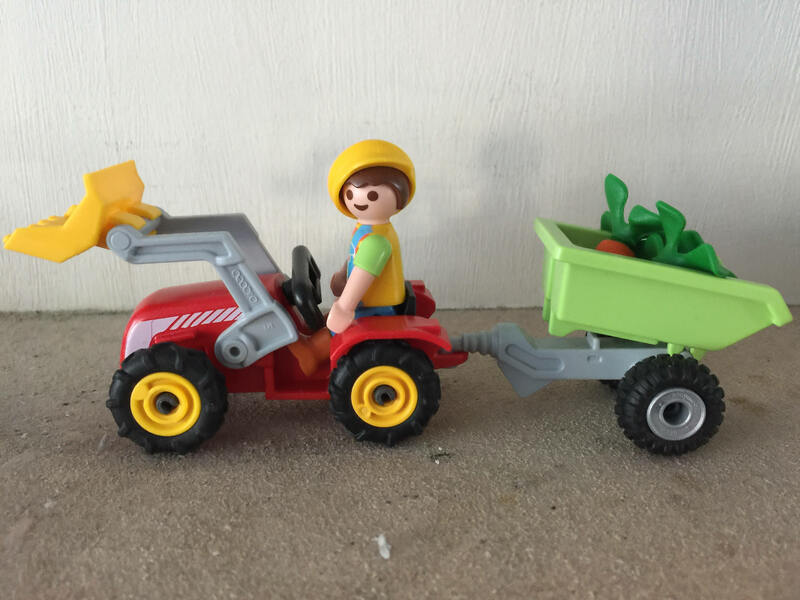 Little Sis loves her Playmobil boy with children’s tractor. The tractor is functional, just like a big one: with removable trailer, tiltable charging bay and movable lifting arm and shovel. It even comes with some vegetables! Both toys stand alone but are easily absorbed into our Playmobil collection for lots more extended play. This year there are 4 eggs in the Easter range to collect. They are all priced at £6.99 which is fantastic value for a little Easter treat. You can use the plastic eggs to store all the pieces or use them as money boxes as they have a handy coin slot in the base. I do love this idea, I great alternative for a child who receives too much chocolate!